This tests detects the single basepair change (chr11:52993878T>C; E321G) in the MYH1 gene. → Immune-mediated muscle wasting often triggered by infections or vaccination. IMM is often triggered by environmental factors. In about 39% of reported IMM cases, horses had a history of recent infection or vaccination. Mainly found in Quarter Horses and related breeds. 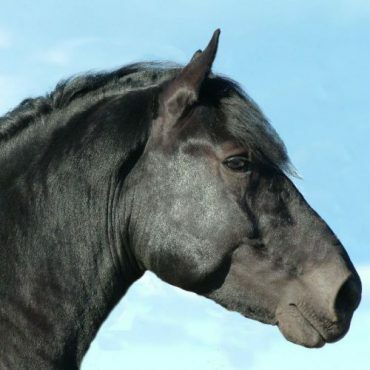 Affected horses usually show symptoms either before the age of 8 years or after the age of 17 years. Muscle wasting may progress very quickly and last for several months. → IMM is an incomplete autosomal dominant/semidominant hereditary disease. 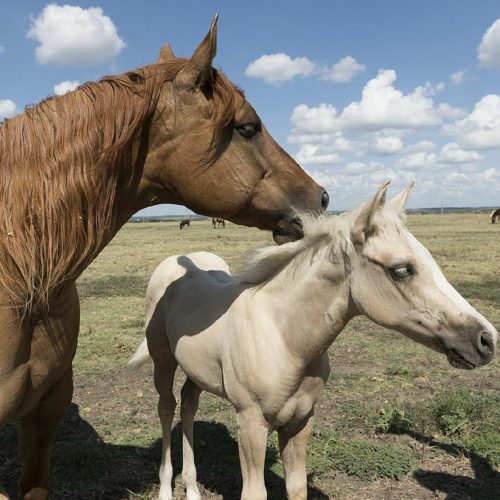 That means that horses with one or two copies of the genetic variant (n/IMM or IMM/IMM) are at risk-affected but animals with two copies are at higher risk to develop symptoms. n/n normal. 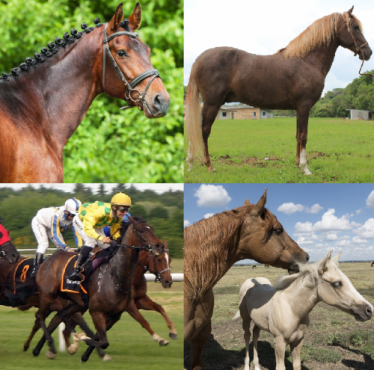 The horse does not have any copies of the genetic variant causative for IMM and therefore cannot pass it on to any offspring. n/IMM at risk-affected (heterozygous). The genetic variant causative for IMM will be passed on to its offspring with a probability of 50%. These 50% will also be at risk-affected (n/IMM). IMM/IMM at high risk-affected (homozygous). The genetic variant causative for IMM will be passed on to all offspring. All offspring will be at risk-affected (n/IMM). This test is best used to confirm a diagnosis of IMM. 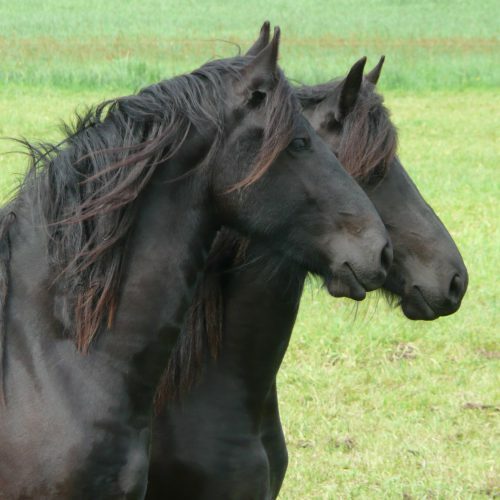 Because of the variable penetrance of this mutation (not all horses with the mutation will become sick), it is not yet clear how or if this test should be used for making breeding decisions. If a horse has become sick, it should not be used for breeding. Durward-Akhurst, S.A., Valberg, S.J. 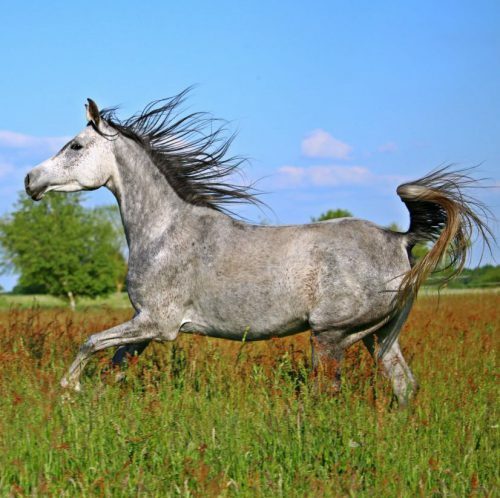 : Immune-Mediated Muscle Diseases of the Horse. Vet Pathol 55:68-75, 2018. Pubmed reference: 28129093. DOI: 10.1177/0300985816688755.